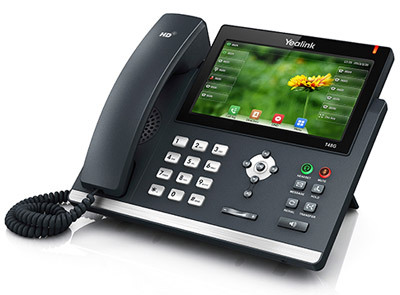 The Yealink IP Phone T2 series represents the next generation of VoIP phones specifically designed for business users who need rich telephony features, a friendly user-interface and superb voice quality. T2 series offers high-definition voice quality through an HD handset, HD speaker and HD codec (G.722). The large, high-resolution graphical display, combined with up to 48 keys, guarantees an excellent user-experience in terms of configuration options, making calls and access to the express XML browse. In addition, to ensure that your audio data remains confidential, it also supports security standards TLS, SRTP, HTTPS, 802.1X, Open VPN and AES encryption to protect against electronic eavesdropping and data theft. Revolutionary in appearance and advanced technical design, the T4 series is not only pleasurable and practical to use but also offers extra-large display screens that make pen and paper redundant in the busy office environment. 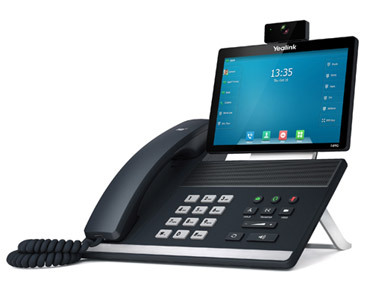 The T4 series represents the cutting-edge of contemporary VoIP technology in action. Advanced features include support for gigabit networks, plus USB Bluetooth support for easy Bluetooth earphone use. Enhanced sound quality is delivered by the Optima HD Voice system which meets TIA 920 certification standards. 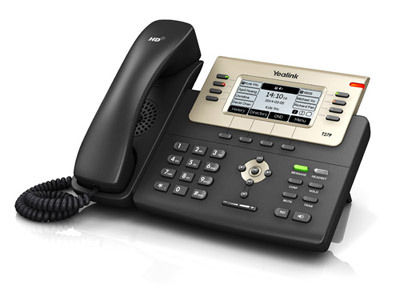 In the T4 series, Yealink has set out to achieve the ideal marriage of perfection with performance.